Toronto Locksmith | 24 Hour Emergency | Lock-Up Services Inc. Need a Toronto Locksmith? Call The Experts! Expertise in Traditional Locksmith Services, Security Locking Systems and More! Our commercial locksmiths in Toronto will take care of all the complexities of commercial lock and security systems. We can service every kind of commercial property, including: real estate developments, commercial buildings and properties, and institutional properties like government buildings, hospitals and more. Learn more about our commercial solutions for your business. Our residential locksmiths take care of your difficult locking and security needs. Be it changing locks, mail box keys, lock repair or any other solution, you can rely on Lock-up’s team of professionals to help you. 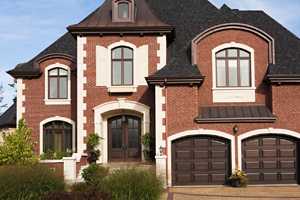 Learn more about our Toronto locksmith’s and how we can provide solutions for you. Locked out of your house? Security system not opening the doors in your commercial building? Let our emergency locksmiths take care of it! Our professionals can handle your stressful emergency with our 24 Hour Emergency Road Service. Learn more about our emergency service or contact us now! The lock on a door is one of those pieces of technology that has been with us for centuries and has remained an important part of our daily life. A properly working lock represents security and peace of mind. It should mean, once it is set in place and put to use, that the things that matter most to a Toronto resident, whether that’s the things in a home, or the things in a business, are now protected. A good lock means that no one but the rightful residents, owners or operators have the proper access to that place. And that’s where Lock-Up Services come in. 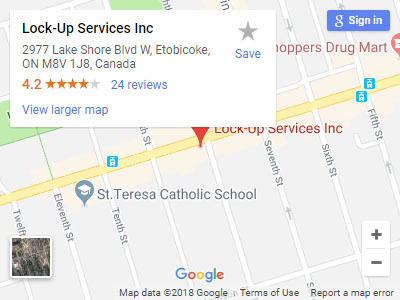 Lock-Up Services Inc. is a proud, local family business that has been working as a locksmith in Toronto for over 50 years. From its humble beginnings in 1967, under the watchful eye of founder and master locksmith Ron Wright, Lock-Up Services worked for residents of Toronto, helping them to secure their homes, making duplicate keys, and sometimes even helping them when they accidentally get locked out! Our locksmith service in Toronto has since expanded from residential services to include commercial and industrial properties, providing more secure facilities to ensure that Toronto’s economy prospers and grows safely. Today, Lock-Up Services Inc. is still being guided by the Wright family, only now it is Christopher Wright, and our services extend throughout the GTA, from Toronto to Caledonia, to Burlington and all communities in between! The business has grown, the Wright family has grown, and, perhaps most importantly, the technology of locks and security has grown, and our business has innovated along with it! Lock-Up Services is family-owned and operated Toronto locksmith business, that means we never forget the importance of family or think of a job as too small. We understand the absolute sanctity of the home, and we are always happy to help out GTA residents with their lock and key needs. This means that we still help out GTA homeowners with the little things like making a new key if one is lost, installing hinges, and, of course, installing the locks on a new home. It also means, however, that we’ve been keeping pace with the latest developments in security, and this is something that affects everyone with a door they would like to restrict access to. There are still plenty of homes in the GTA that operate on a traditional lock and key mechanism, but in the present digital age, there are new systems available even to private residencies that do away with keys and locks with keyholes entirely. What does this mean for homeowners? Even the ability to pick a lock is that much harder when traditional lock-picks have no means to access the lock and open a door. This is something we can do even for private residents; it’s not just something available only to the biggest businesses, the safety of a family can benefit from this too. Of course, when you’re as committed to quality results and customer satisfaction as we are, your name gets around, and your business grows. That has happened for us as a trusted locksmith in Toronto, we now help not just residents at home but also projects of a larger scope and scale. Businesses, whether retail, commercial, or industrial, benefit greatly from having secure locks and systems of access and entry that make operations more efficient and secure. Lock-Up Services has even expanded its operations to meet larger projects such as real estate development and entire buildings that need to ensure durable, reliable security and peace of mind. For jobs such as this, only the latest in security access technology and team of trained, experienced professionals will do to maintain both quality and security. The technology behind door and locking mechanisms remained largely the same for centuries, but in the present day, things have evolved considerably. New security and access systems allow people at home or at work to control access to a building without even needing a key that fits into a lock. 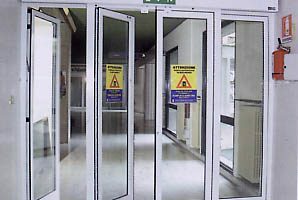 For businesses and other commercial or industrial ventures, sometimes the best doors are also doors that meet specific needs, such as automatic door operation or barrier free door systems. This type of technology goes far beyond the simple key and lock systems of old, and in some cases can make a building not just safer, but even more efficient for business operations. Installation and maintenance of these systems takes experience, knowledge, training and expertise, something Lock-Up Services has worked hard over the years to provide to every customer that comes to us, whether it’s a family wanting a more convenient, safer lock for their home or a warehouse looking for better systems to handle both their personnel doors, cargo doors and even garage doors. Sometimes things can go wrong at the most unexpected times and people need help. If it is a lock related problem for the home or business, Lock-Up Services is here to help! We maintain a 24-hour emergency road service to help those in need of locksmith services. We understand how important it is to gain access to your property when something goes wrong, we strive to provide both quick and professional response to the emergency situations that people need addressed. If you’re looking for a Toronto locksmith that you can trust your home or business access needs to, you’ve found it. Lock-Up Services has been a trusted Toronto locksmith for decades, steadily growing in reputation and service area, mainly due to our refusal to compromise on the quality of our work or the security of our customers. If you have need of a Toronto locksmith for your home or business, contact us, you will receive professional results, quality work and the peace of mind your home or business deserves. 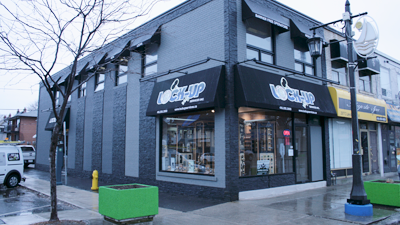 Founded in 1967, Lock-up Services has been providing locksmith solutions to the GTA for 50 years. Advancing as modern techniques improve, our locksmiths have expertise in not only traditional services like key and lock replacement, but advanced security systems for commercial and industrial complexes as well. Our more traditional residential locksmith services are at the highest industry level possible, and we are proud to be one of the few companies in Ontario certified to handle automatic door operators and barrier free door systems. We’re proud to be the first choice for Toronto’s commercial and residential services.